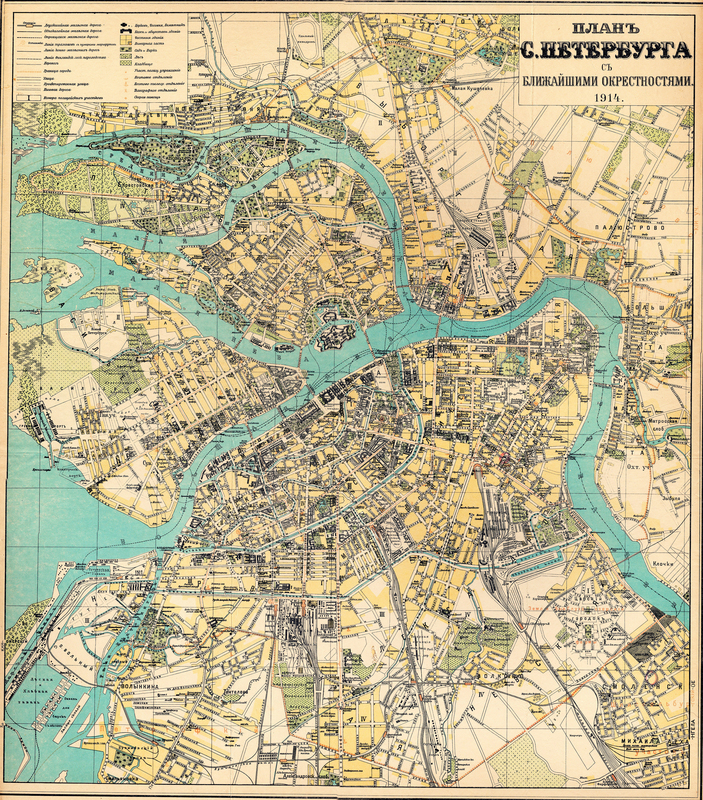 This is a large map of St. Petersburg in 1914. I know that it is from a large illustrated history of St. Petersburg (aka Leningrad) that was published in the former Soviet Union, but I can't find the book right now, and so I can't provide more detailed bibliographic information. Similar to the 1897 map of St. Petersburg, I had to scan the map in four pieces, since it was larger than my scanner, and then I photo-stitched it all together using Photoshop. I also added the zoomify feature so that you could zoom in on specific sections of the map. Since the map was part of a Russian publication, it is not surprising that the description and all the information on the map is in Russian.